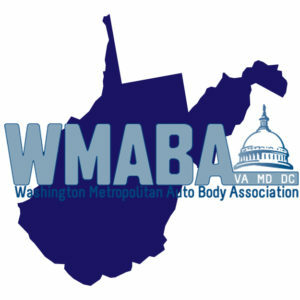 The Washington Metropolitan Auto Body Association (WMABA) announces today the addition of West Virginia as a state it will represent within its membership territory, as the association also prepares to turn the mid-century mark of fifty years in operation. Excited by the addition, one specific West Virginian has led the charge to see the Mountain State join the fold. Steve Krieps, Shop Manager for Greg Cline Automotive in Winfield, West Virginia, and the newest board member of WMABA, commented on the inclusion process, saying, “The collision repair industry is changing at a rapid pace. As vehicle technology advances, the repair process must evolve as well. As repairers, it is absolutely critical that we stay informed on local issues, and act when necessary. We must educate our consumers so they can make informed decisions and stay consistent with our training, to benefit of consumer safety and quality of repair. Coming in the near future, WMABA will also release additional information about the anniversary and initiatives in the works for continuing to be at the forefront of education, mentoring, and membership advocacy. The entire Board of Directors of the association are pleased with the potential opportunities these milestones offer.